Here’s the thing. I blog a lot. In fact, the schedule I’m secretley trialing (whoops, cat out of the bag) until the end of the year only has one day per week “off”. I know you’re not “supposed” to blog a lot and that people will hate you for it…blah blah. Well, it works for me, so I”m going to keep on doing it. I recently started the What I Loved category as a weekly wrap up. I didn’t really know where I would get content from but I’ve found so far that it involves sharing photos of my week. Some of which I’ve posted on social media already. This kind of felt like cheating to me at first. But then, I had a thought (that probably should have occurred to me earlier) that not everyone follows me on every social media channel. 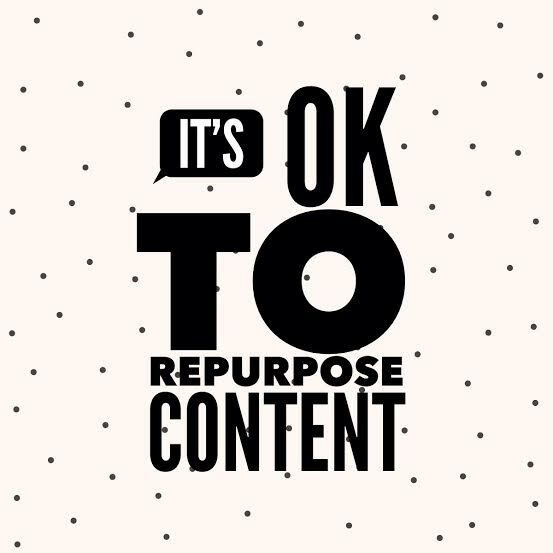 It’s OK to repurpose content like this. Now, the idea of a weekly wrap-up isn’t original to me. What I’m liking about it is that it forces me to stop and think of the things I liked each week. So, really, it’s a bit of a personal exercise in positivity, as well as a visual insight into my life for readers. Do you do any kind of wrap up? Do you find visual works best? Last week’s Friday post went well – so I’m opening it up again. Do you need any help with blogging? Comment below, with a direct link if relevant, and I’ll reply with my thoughts. Why via comments? Because we probably all make mistakes or have questions in similar areas, so we can learn from each other this way. I did wonder if I should use it to take my newsletter from monthly to weekly, but I kind of like just sharing it all on my blog!! I used to do a little something called Sunday Summary if I felt like blogging on the weekend, but that doesn’t happen often! For blogs I enjoy but don’t necessarily subscribe to or have time to read everything they post during the week, I will subscribe to their weekly newsletter which always does a good wrap up – that way I can select what I want to read. Remember Nikki Parkinson said she knew people were using the newletter to catch up on content because she would get comments on posts from the week on the weekend? Doing that in a blog post format is a valid alternative certainly! I don’t know why, but I just kind of like doing it as a blog post rather than a newsletter. It’s probably “wrong” to not collect email addresses in this way but it just suits me for now. Thanks for this reminder. I wrote an article that kept getting rejected a couple of weeks ago. I’ve recovered from the constant rejection (just…lol!) but I’m still hoping that later in time that I can tweak it again to suit another situation. Not giving up! I think it’s even more important to branch out and keep content when it comes to freelancing. One is just one…I’m sure you’ll find somewhere else that suits it!